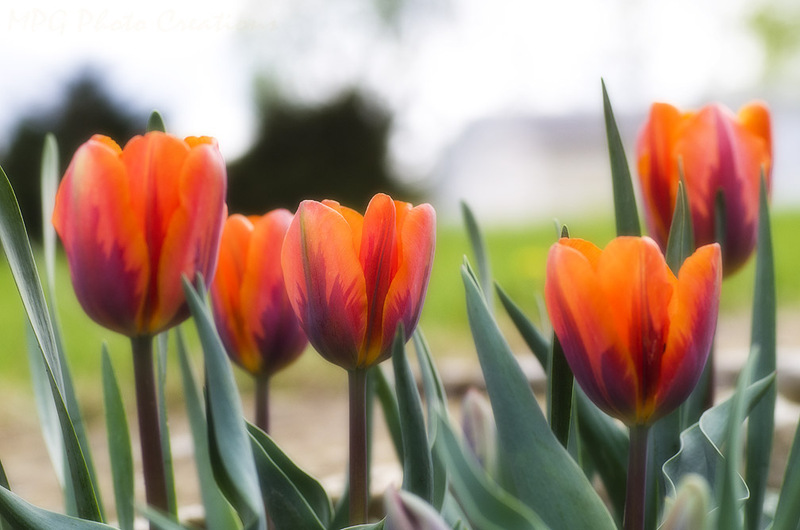 This is a group of Tulips that I planted last fall. While planting I tried to mix up the colors but with this image you can see I didn't quite manage that all the time. :-) I can use the excuse that I was working with new bulbs I had never seen and couldn't really tell. I do love the lovely little group they made though and was pleased that all I planted did come up.